"Baaghi" may just prove to be a winner at the box office, and will be remembered for its stylised, gravity-defying action scenes. Ronny (Tiger Shroff) is a reckless youth who likes to live on the edge, break bones and perform somersaults when not flexing muscles. He is sent off to a Kalari (a traditional martial arts school), where he is expected to smoothen out his rough edges. Sia (Shraddha Kapoor) is an aspiring actress, who talks to herself and dances in the rain, and says lines like: "Tu jo apne naino se baan chala raha hai na, who kaam nahi karega." I'd stop at this but was reminded of Ronny's oft-repeated dialogue: "Itni jaldi kya hai, abhi toh maine start kiya hai." After a few songs â€” across the unending stretches of Kerala's backwaters, which are dotted with coconut trees â€” and costume changes, the young couple's breezy love story is brought to a halt by Raghav (Sudheer Babu), who too takes fancy to the chirpy Sia. Sia, the damsel-in-distress, is then kidnapped by Raghav and taken to Bangkok. Ronny must free his one true love from the evil clutches, even if it means taking on an army of goons single-handedly. Watching an upside-down Tiger balancing his body-weight on a few fingers is a sight to behold. The young actor may have stiff facial muscles, which don't allow him to express well in soppy scenes, but excels in the mind-numbing action sequences. Agile, flexible and completely in-command of his movements, Tiger is easily the best action-hero Bollywood has right now. Shraddha squeals and yelps, but also punches and kicks. She is not the regular delicate and dainty girl who helplessly cries in the villain's den, waiting for her knight in shining armour to save her. Although Shraddha is given scenes where she gets to smash a few heads, the idea would have been appreciated better had she been given a more prominent space in the film. Director Sabbir Khan knows the formulae to create a massy entertainer â€” throw in young and appealing stars, add mushy romance, melodious songs, a mean-looking baddie and generous amount of death-defying stunts. 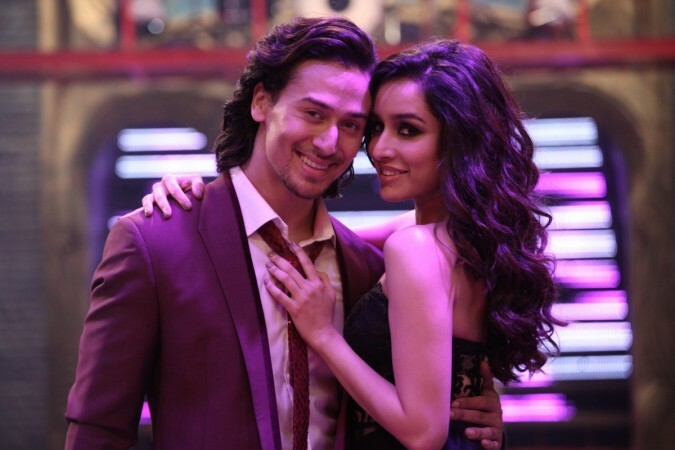 With this, "Baaghi" may just prove to be a winner at the box-office, and will be remembered for its stylised, gravity-defying action scenes. There are many in this category. The glaring one has to be Ronny's back story. Questions like why is he a rebel? What made him choose an unruly path? Where did he get his pre-training moves (which were equally in-sync and flawless) from often come to one's mind. Writer Sanjeev Dutta only gave Ronny an attitude, which, when scrutinised, falls flat. Shraddha is a little too chirpy for the ears, something she has done in "Ek Villian" too, in which she would call out to her brooding co-star Siddharth Malhota every time he would walk away from her. Nothing has changed in between that and "Baaghi," and makes me wonder if one has to be on a special diet to be unimaginably happy always. Although her screen presence works as a relief, the performance wasn't impactful. The first-half of the film is fast-paced, but post-interval the plot has been stretched beyond belief. Sabbir knows how to make entertainers, but in this one, he has given way too much attention to his hero's action skills than he should have. The balance has been compromised. Cinematographer Binod Pradhan's frames have been able to salvage some of the damage done. The camera-friendly locales of Kerala and bustling alleys of Bangkok have been captured well by the ace technician. Julius Packiam's background score clicks well, adding a thrilling tempo to the whole set-up.